Feeling proud of what you have done, you sit back and admire the lush and attractive color of your lawn, which was not easy to achieve. But the unthinkable happens a few days later; you notice your lawn is starting to fade and lose its vibrant appearance, and you don't know where to turn. If you are facing this problem and hunting for a way to solve it as soon as possible, common pests are likely to blame for the changes in your grass. Learning about the top three signs that pests are getting the best of your lawn will get you moving in the right direction. If you look at your lawn and noticed wilted blades of grass, beetles could be the source of the problem. These pests will lay eggs in your soil, and you will have trouble when they hatch. As larvae, the young pests will consume the roots of your grass, causing damage over time. By next summer, the larvae will grow into adult beetles and lay their own eggs, allowing the process to repeat until you do something to stop them in their tracks. You will want to move quickly when you see the red flags if you would like to keep your lawn in top shape for as long as possible. Discolored grass probably means that chinch bugs have found your property and decided to call it home. When they feed on grass, they attach themselves to the blades and consume the nutrients. To get the most from each meal, chinch bugs release an anticoagulant from their saliva to keep the liquid flowing, but the effects don't wear off when they finish the meal. As a result, the remaining anticoagulant prevents your lawn from absorbing and retaining enough water to survive. In addition to damaging your grass, some pests can also harm the soil and create unsightly holes or mounds on your property. If you notice holes that were not there before, you have a mole infestation you need to manage before it's too late to contain the damage. Ants that decide to call your yard home will build large mounds that reduce the visual appeal of your lawn in a way you won't be able to overlook. As the ant colony grows over time, you will spot even more mounds in your yard unless you are proactive. You might be searching for answers that will empower you to remove pests and get your lawn back to its former beauty. If you don't want to take unneeded risks when it comes to your yard, reach out to Pest Control Services Inc., and you will be glad you did. Our dedicated and kind experts will locate and eliminate the pests that are harming your lawn and provide you with impressive results. 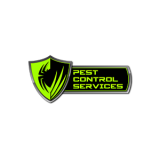 If you are ready to get started so that you can make your pest control problem a thing of the past, contact us today for a free quote.